A number of people have requested more information about the history and benefits of Reiki, so I felt it would be useful to include the text I was given when I took my first Reiki class and received my level 1 attunement. There is a lot of background here, but it gives a really good feel for where Reiki originated from, what it can do, and how it came to its current form. It also addresses some of the more controversial matters around the cost of Reiki attunements. These are just facts as I had them delivered to me, so please take them as such. 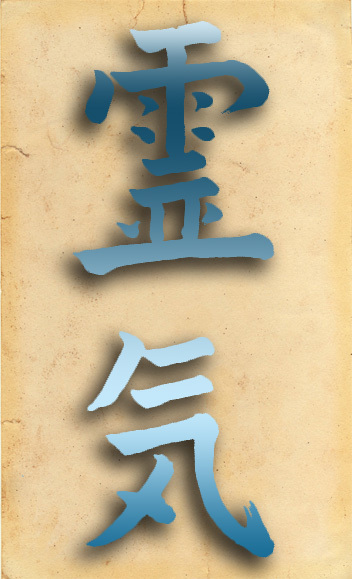 There are two different stories surrounding the history of Reiki. The first story and the one that is mentioned most commonly in the books available on Reiki portray Dr. Mikao Usui as a Christian. 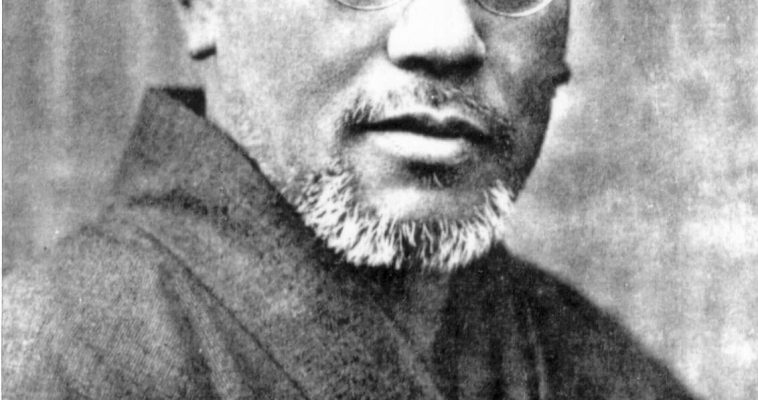 The second story claims the Dr. Usui was in fact a Buddhist Monk. Dr. Mikao Usui was born in Japan on August 15, 1865. The more common story about Dr. Usui states that he was the Principal of Doshisha University, a Christian university near Kyoto in Japan. It says that one of his students asked him about healing and why people could no longer heal the way Jesus could. As he could not answer the question, he resigned from the university and started out on his quest for healing. He is supposed to have travelled to Chicago where he studied for 7 years and received a degree in technology. A letter from Doshisha University in Japan where Dr. Usui is supposed to have taught and a letter from Chicago University (Divinity School) both show that they have no knowledge of any Mikao Usui having either taught or studied at either establishment. In fact the University of Chicago did not even exist in the time when Dr. Usui was thought to have studied there. It is thought that Mrs. Hawayo Takata believed that if she introduced Dr. Usui as a Buddhist monk during the 1940’s then no-one would be interested in Reiki as the visions of Pearl Harbour were still fresh in the memories of the American people. The other Story that has been verified to some extent and is more plausible is that Dr. Usui was interested in healing and the life of Buddha. He wondered why Buddha and his disciples could heal physical illness and why this power had been lost. Dr. Usui made it his life’s work to rediscover how to heal the physical body. He started by visiting various Buddhist temples to ask the monks if they knew how to heal the physical body. Invariably the answer was a negative one. They were concentrating on the mind, as it is the belief of Buddhists that all disease comes from the mind first. One of the monks of a Zen monastery he approached told Dr. Usui that they no longer knew how to heal the body. They used to, but this had been lost over the years through disuse. The monk was also interested in healing and he invited Dr. Usui to study with them and in so doing, granted him access to their secret library. In order to study these manuscripts Dr. Usui eventually had to learn Sanskrit. It was in the Indian Sutras, written in Sanskrit that he found part of his answer. Dr. Usui discovered a formula that would allow him to contact a higher power in his meditation. Dr. Usui decided to go to the holy mountain of Kurama to fast and meditate for a period of 21 days. Dr. Usui sat on top of the mountain with 21 stones in front of him. Every day at dawn he would throw another stone away and spend the rest of the day in deep meditation. On the twenty first day he threw the last stone away and shortly afterwards saw a very bright light in the horizon that was coming straight at him. He realised that this light contained a message and he was about to receive what he had been looking for all of his life. The light was incredibly strong and he realised that in order for him to receive the instructions the light would have to strike him, he knew that as the light was so powerful it might even be too much for him and it might have killed him. Dr. Usui had a choice of whether of not he wanted to accept the light. He decided to receive the light and accept whatever may happen to him, he had no idea of the benefits of Reiki that were to come. The light Struck Dr. Usui on his third eye and knocked him unconscious for some time. During this period of unconsciousness Dr. Usui had an out of body experience and was shown a bubble of light with various symbols in them. He memorised the symbols and as he did so he received an attunement from the light so that he was able to use the symbols. This is how Dr. Usui was initiated to Reiki. When Dr. Usui regained consciousness he was full of energy even though he had not eaten for the past 21 days. He set off to go back to the monastery and as he came down the mountain he tripped and his toe started to bleed. Instinctively he put his hands around the toe, the bleeding stopped and the pain went away. He knew then that he had received some healing powers with this first experience of the benefits of Reiki. On his way back he had a full meal, which is something you simply cannot do after fasting for 21 days. The meal caused no adverse effects on him whatsoever. During his meal the innkeeper’s daughter who had a very bad toothache was attending him. Dr. Usui felt that he could help her and so placed his hands near her jaw where the pain was. After only a few minutes the pain had gone. Back at the monastery, he discovered that the abbot was in bed crippled with Arthritis. He proceeded to relate his experience and at the same time successfully treated his friend’s problem. Dr. Usui then spent the next 7 years taking care of sick people in the slums of Tokyo. Unfortunately he noticed some of the beggars that, although cured of physical illness, had returned to a life of begging. He spoke to many of these beggars and came to realise that for these people the life here was far easier than the life in the mainstream society where they had the worry of money for paying bills etc. Dr. Usui had realised his mistake and that the person receiving healing must ask for it and that there must be an exchange of energy. This can be money, goods, work or anything really. Without the person asking for healing or exchanging energy he believed the healing would not work. After this realisation, Dr. Usui went around Japan and looked for people who wanted to be healed. He practiced and taught the benefits of Reiki throughout Japan for the remainder of his life. 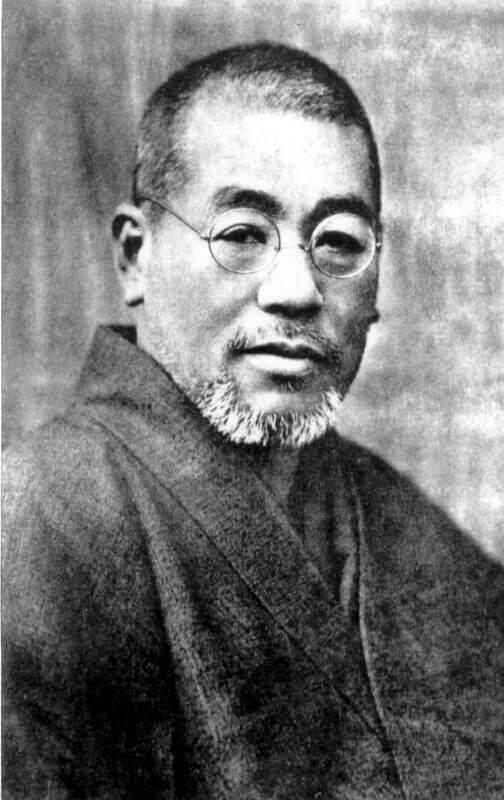 Before his death on 9 March 1926, he gave the master Reiki attunement to 16 teachers, one of whom was Dr. Chujiro Hayashi. “Someone who studies hard (i.e. practices Reiki meditation) and works assiduously to improve body and mind for the sake of becoming a better person is called “a man of great spirit.” People who use that Great Spirit for a social purpose, that is, to teach the right way to many people and do collective good, are called “teachers.” Dr. Usui was one such teacher. He taught the Reiki of the universe (universal energy). Countless people came to him and asked him to teach them the great way of Reiki and to heal them. Dr. Usui was born in the first year of the Keio period, called Keio Gunnen, on August 15th (1864). His first name was Mikaomi and his other name is pronounced Gyoho (or Kyoho). He was born in the village of Yago in the Yamagata district of Gifu prefecture. His ancestor’s name is Tsunetane Chiba. His father’s name was Uzaemon. His mother’s family name was Kawaai. From what is known, he was a talented and hard-working student. As an adult he travelled to several Western countries and China to study, worked arduously, but did at point run into some bad luck. However he didn’t give up and trained himself arduously. One day he went to Mount Kurama on a 21-day retreat to fast and meditate. At the end of this period he suddenly felt the great Reiki energy at the top of his head, which led to the Reiki healing system. He first used Reiki on himself and then tried it on his family. Since it worked well for various ailments, he decided to share this knowledge with the public at large. He opened a clinic in Harajuku, Aoyama Tokyo—in April of the 11th year of the Taisho period (in 1921). He not only gave treatment to countless patients, some of whom had come from far and wide, but he also hosted workshops to spread his knowledge. In September of the twelfth year of the Taisho period (1923), the devastating Kanto earthquake shook Tokyo. Thousands were killed, injured, or became sick in its aftermath. Dr. Usui grieved for his people, but he also took Reiki to the devastated city and used its healing powers on the surviving victims. His clinic soon became too small to handle the throng of patients, so in February of the 14th year of the Taisho period (1924), he built a new one outside Tokyo in Nakano. His fame spread quickly all over Japan and invitations to distant towns and villages started coming in. Once he went to Kure, another time to Hiroshima prefecture, then to Saga prefecture and Fukuyama. It was during his stay in Fukuyama that he was hit by a fatal stroke on March 9th, of the fifteenth year of the Taisho period (1926). He was 62 years of age. Dr. Usui had a wife named Sadako; her maiden name was Suzuki. They had a son and a daughter. The son, Fuji Usui took over the family business after Dr. Usui’s passing. Dr. Usui was a very warm, simple and humble person. He was physically healthy and well proportioned. He never showed off and always had a smile on his face; he was also very courageous in the face of adversity. He was, at the same time, a very cautious person. His talents were many. He liked to read, and his knowledge of medicine, psychology, fortune telling and theology of religions around the world was vast. This life-long habit of studying and gathering information certainly helped pave the way to perceiving and understanding Reiki. (I think this refers to his experience on Mount Kurama). Reiki therapy not only heals diseases, but also amplifies innate abilities, balances the spirit, makes the body healthy, and thus helps achieve happiness. To teach this to others you should follow the five principles of the Meiji Emperor and contemplate them in your heart. They should be spoken daily, once in the morning and once in the evening. 1) Don’t get angry today. 4) Work hard today (meditative practice). 5) Be kind to others today. The ultimate goal is to understand the ancient secret method for gaining happiness (Reiki) and thereby discover an all-purpose cure for many ailments. If these principles are followed you will achieve the great tranquil mind of the ancient sages. To begin spreading the Reiki system, it is important to start from a place close to you (yourself), don’t start from something distant such as philosophy or logic. Sit still and in silence every morning and every evening with your hands folded in the “Ghasso” or “Namaste”. Follow the great principles, and be clean and quiet. Work on your heart and do things from the quiet space inside of you. Anyone can access Reiki, because it begins within yourself! Philosophical paradigms are changing the world round. If the benefits of Reiki can be spread throughout the world it will touch the human heart and the morals of society. It will be helpful for many people, and will not only heal disease, but also the Earth as a whole. Over 2000 people learned Reiki from Dr. Usui. More learned it from his senior disciples, and they carried Reiki even further. Even now after Dr. Usui’s pass­ing, Reiki will spread far and wide for a long time to come. It is a universal blessing to have received Reiki from Dr. Usui and to be able to pass it on to others. Many of Dr. Usui’s students converged to build this memorial here at Saihoji Temple in the Toyotama district. You will probably have noticed a difference in the spelling of Dr. Usui’s forename in the translation – Mikaomi as opposed to Mikao. These are effectively the same name in Japanese; it’s simply the case that Mikaomi is a more literal western translation of Usui’s forename. Everybody has always used Mikao and so this is the most common pronunciation of his name. 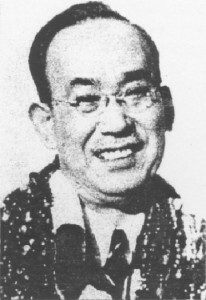 Dr. Hayashi (1878 – 1941), a retired naval officer, was interested in Dr. Usui’s work. Before his death, Dr. Usui initiated Dr. Hayashi as a Reiki Master in 1925 at the age of 47. Dr. Hayashi is responsible for breaking Reiki into three degrees and setting up new hand positions. Up to that time, Reiki was given in a series of attunements and could be given in a very short period of time (Dr. Usui himself was given Reiki in one powerful attunement). Dr. Hayashi opened a Reiki clinic in Tokyo, near the Imperial Palace, and kept detailed records of the treatments given. His clinic consisted of a reception room and a large room with 8 couches and 16 practitioners working (2 per patient). The practitioners worked there from 7 to 12.00 and did house calls after this till 7 p.m. Dr. Hayashi designed the system of hand positions taught during the first degree and their initiation procedures. One of Hayashi’s students was a lady called Hawayo Takata. Hayashi forced his own death by mentally rupturing the arteries to his heart on May 10, 1941. During his life, Dr. Hayashi initiated 13 masters (including his wife). Hawayo Takata was born on 24 December 1900 in Kauai, one of the Hawaii islands. She was of Japanese origin and her father worked in a local sugar plantation. 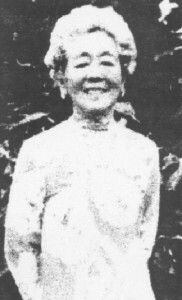 She married Saichi Takata who was the bookkeeper of the sugar plantation, where she eventually worked herself. Her husband died in October 1930 at the age of thirty-four leaving his wife and two children. Takata took over the keeping of the family and eventually suffered from a nervous breakdown, abdominal pains and lung problems. When her sister died, she went to Japan where her parents lived, to inform them of the loss of their daughter. Whilst there, she went to hospital and was diagnosed with a terminal illness and rushed for surgery. Whilst waiting for the surgeon, she is supposed to have heard a voice that said, “The operation is not necessary.” She wondered if she was dreaming but realised that she was fully awake. The voice once again repeated, “The operation is not necessary.” Not knowing what to do, she decided to ask the doctor if there was another way. To the surprise of the staff in the operating theatre, she got off the operating table and looked for the surgeon and asked him if he thought there might be another way to get rid of her problems rather than operate on them. The doctor told her about Hayashi’s clinic. She underwent a course of treatments at Hayashi’s clinic. Just by laying their hands on her, the Reiki practitioners described her symptoms accurately. This impressed Takata and gave her the confidence to go ahead with the treatment. She was curious about the heat she received whilst the two practitioners were treating her and thought that they may be using some heating apparatus. She looked under the couch for it and found nothing. Then she grabbed one of the practitioners’ sleeves thinking that some heating equipment was hidden there. The startled practitioner laughed at her when she explained what she was looking for. He told her about Reiki and how it worked. As she progressed with her daily treatment, her condition got progressively better. She decided that she also would like to learn Reiki. In a country where man was king and Japanese pride was high, she was told that Reiki should stay in Japan and that she could not be initiated. Takata was a stubborn person who did not take no for an answer. She went to her surgeon and asked him for a letter confirming that she was sick and needed Reiki daily. Eventually Dr. Hayashi was impressed with Takata’s persistence and initiated her in First Degree Reiki in the spring of 1936. She was initiated in the Second Degree in 1937. She went back to Hawaii in the summer of 1937 and invited Dr. Hayashi’s daughter over. She knew that Dr. Hayashi would never permit his daughter to travel alone and that there was a good chance that he would come with her and possibly initiate her into a Grand Master. She was initiated as a Master on February 21, 1938. Hayashi registered her Masters’ Certificate at Honolulu and gave her the rights to practice and teach in the United States (only). Her Reiki Masters’ certificate shows her as being a Master (not a Grand Master). Phyllis Furumoto is Takata’s granddaughter. Prior to her death, Takata asked Phyllis if she wanted to become the new Grand Master. Phyllis at the time turned the offer down. Takata then asked Barbara Ray to become the new Grand Master. Barbara accepted. Phyllis subsequently changed her mind and Takata also initiated her as the new Grand Master without telling Barbara Ray. As you can imagine, this has caused some friction over the years. Barbara Ray has since then formed her own system of healing and benefits of Reiki. This was originally called the A.I.R.A (American International Reiki Association”. This has since been renamed to “The Radiance Technique”. Barbara has added 4 new degrees to the Reiki natural system of healing, taking the benefits of Reiki to another level. Virginia Samdahl was the first Occidental Reiki master. Takata initiated her in 1974. The Alliance was formed by a group of Reiki Masters in May 1983. It has a set of guidelines on how Reiki should be taught. Any Reiki Master can apply for membership. The Alliance itself does not teach Reiki. 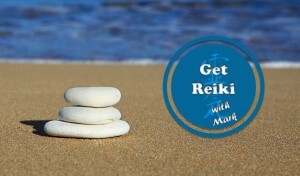 It recognises independent Reiki Masters. The word Reiki in Japan is used to describe any system of healing. Dr. Usui’s method of healing is called “The Usui System of Natural Healing” or “Usui Shiki Ryoho”. Since Dr. Usui, Dr. Hayashi or Takata did not leave any written records; we rely on what was passed on from Master to students as being the way Reiki was always taught. Reiki originally did not used to be so structured. Dr. Usui himself received Reiki in one powerful attunement and initiated his students to the benefits of Reiki over a short period of time. The length of time that you now have to wait between each level has been introduced by the Alliance. Mrs. Takata herself often initiated her students to Reiki 1 and 2 during the same day. Dr. Usui after his experience with the beggars in the slums of Tokyo added the idea that one needs to give something in exchange for the benefits of Reiki. This could be money, work or whatever depending on the means of the person receiving. Dr. Hayashi introduced the hand position and Takata added the fee structure. Many new Masters have made changes to the way they teach Reiki. Some of these changes are beneficial some are not. Barbara Ray for example introduced 4 new levels to Reiki. Her students are no longer given the name of the secret symbols during their initiations. She changed the name Reiki to Radiance techniques. Reiki (pronounced ray-key) is a form of healing that comes to us from Tibet. “The Healing Buddha” is a 2500-year-old book that describes a form of healing very similar to Reiki. The benefits of Reiki are passed on from Master to student. Unless it is passed on it will be lost, this unfortunately is what happened. It was not until late 1800 that Dr. Mikao Usui rediscovered Reiki. Reiki is a very simple technique that may be learnt by anybody. The direct translation of Rei from a Japanese dictionary is “Ghost”. The word Reiki comes from two Japanese words best translated as ‘Sharp or Clever spirit’ REI means ‘The higher intelligence that guides the creation and functioning of the universe’. Rei is sometimes translated into Universal. The meaning of Universal in this context signifies Supernatural Knowledge or Spiritual Consciousness. This wisdom comes from the Higher Self. Rei is intelligent it understands everything. It knows the cause of problems and has the knowledge to deal with them. The direct translation of KI from a Japanese dictionary is Vapour or Mist. Ki is the Japanese word for Chi in Chinese, Prana in Sanskrit and Mana in Hawaiian. It has also been called, Odic force, Orgone, and Bioplasma etc. Ki is the life energy often called Universal Life Force. It is a force that animates all things. All creatures, objects or living things have this life force. The life force flows inside and outside all living things. 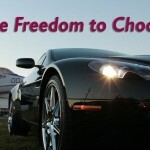 This is what allows us to get up in the morning and work, play and function as human beings. When this life force becomes low, we feel run down and illness may set in. 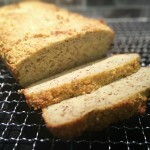 When this life force flows freely, we are much less likely to get sick. Ki animates everything we do; it is responsible for our emotions, dreams and daily performance. Reiki is intelligent. It is guided by the consciousness called Rei. The practitioner can do very little to influence this energy. As previously mentioned, Mrs Takata introduced this around 1970. She believed that Japanese people have different values from ours. They work for the same company most of their lives and have a very high set of values that may not be present in the Western mindset. She wondered how to create this respect from would be Western Reiki Masters. She decided that one thing Westerners respected was money and fixed a fee of $300 for Reiki 1, $800 for Reiki 2 and $10,000 for Reiki 3. These fees are still charged by Alliance Reiki Masters. Independent teachers are not bound by this code of conduct and can charge lower fees. This in turn will mean more Masters become available. This will contribute to more people learning Reiki and a healthier planet with more people taking their health into their own hands.